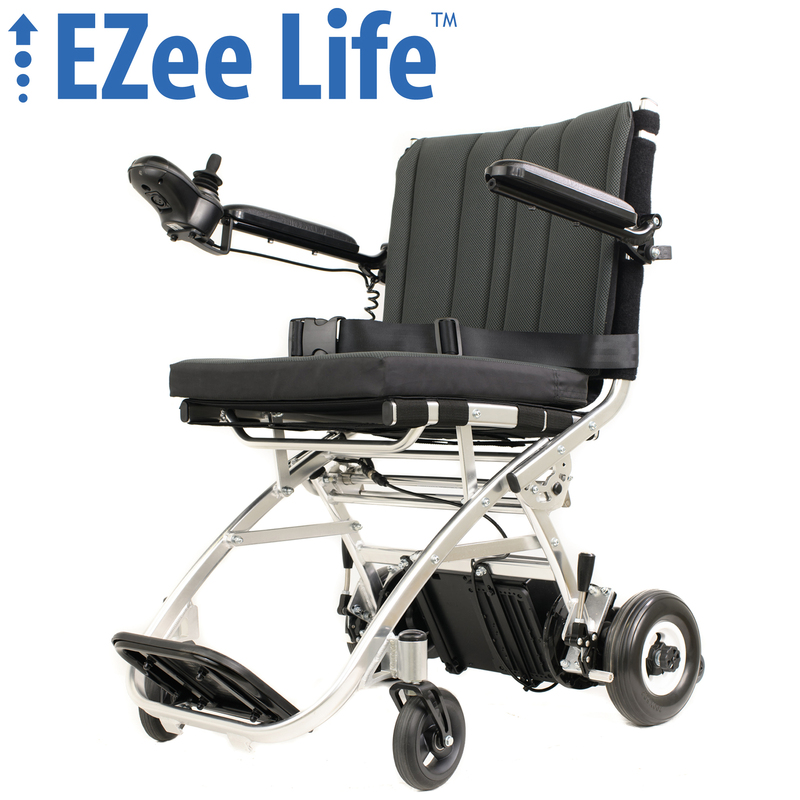 The G5 EZee Fold is an ultra light folding portable electric wheelchair. 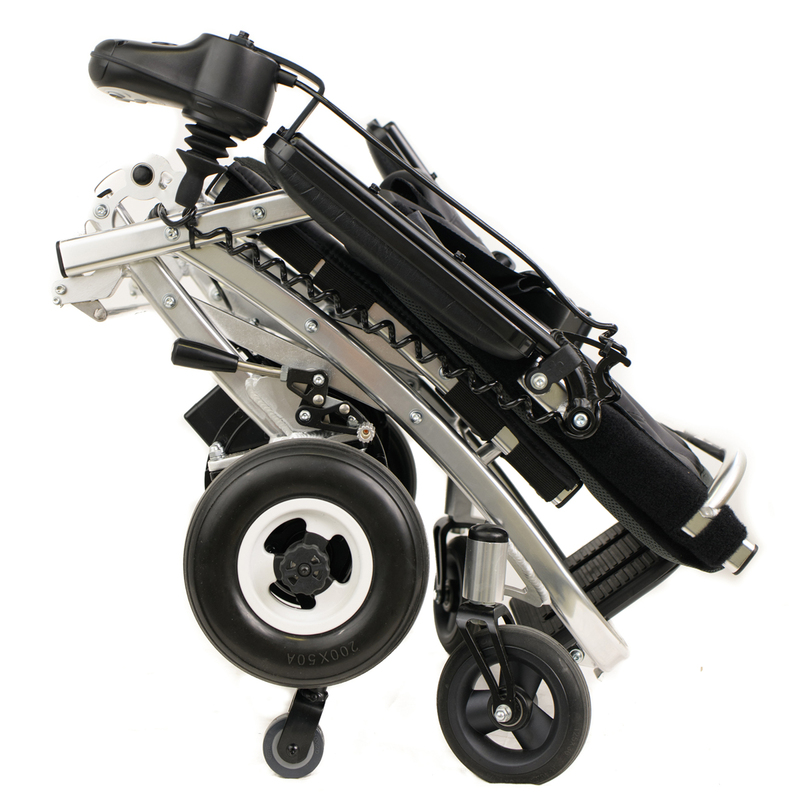 Its ultra-light weight makes it ideal for lifting into the trunk of a vehicle, carrying up stairs and shipping by air. Like the other EZee fold models, the CH1070 has an electric and manual mode, is easy to charge and great for use in small areas. Its frame is made of strong and lightweight aerial aluminum alloy used because of its lightweight and relative strength. 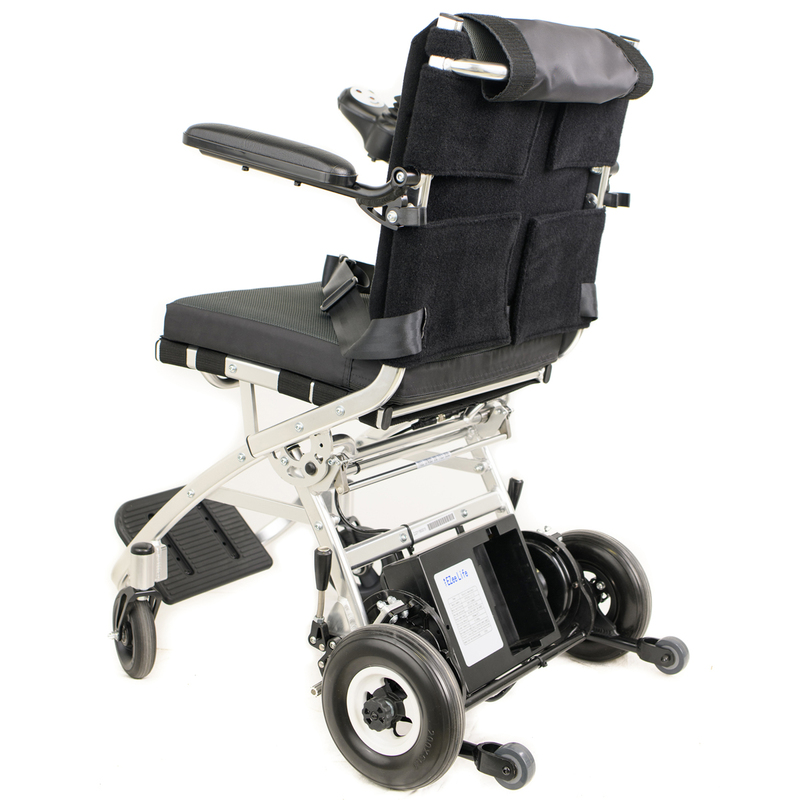 In spite of its lightweight this wheelchair has a weight capacity of 100 kg. (220 pounds), a 15 kilomtre (9.3 mile) range and will travel at speeds up to 4.5 kph (2.8 mph).